As a Registered Investment Advisor, Sucre-Vail Wealth Advisors (or money managers) do not come in contact with your money or assets. Instead, all assets are held by an independent custodian, offering you another layer of protection. Recently, the choice of the independent custodian has garnered more attention, with recent stories of fraud or institutional failure (for example, Bernie Madoff and MF Global). We believe this topic is critical and it doesn’t get as much attention as it deserves. 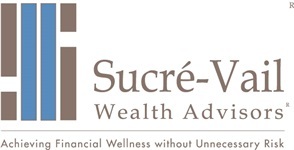 At Sucre-Vail Wealth Advisors, we use a custodian that provides an additional layer of security to protect you from the institutional failures that have recently occurred. Your money is held in trust with a federally chartered, limited purpose savings association that provides custodial and personal trust services. It adheres to extensive federally mandated controls, which are audited by independent and internal auditors and designed to prevent fraudulent activity. Your assets are not co-mingled with other assets. All client assets are held in an account under your name, so trust-company creditors have no claim to your assets. Your assets are not used as collateral for lending activities. Our Trust company partner does not participate in margin lending. They cannot pledge, lend or margin client assets held in their custody. Our third-party money managers are granted access to trade securities on the Trust Company platform. However, the Trust Company is the sole custodian of your assets, not the money managers. Your assets are held by this custodian for safekeeping as long as you remain with us.